Today I am visiting Pilling’s Writing Corner to explain why magic has a presence in The Cross and the Dragon. Regardless of class, most medieval folk believed in magic, and despite the Church officially frowning on it, they would often employ it for healing, protection, or other beneficent purpose. 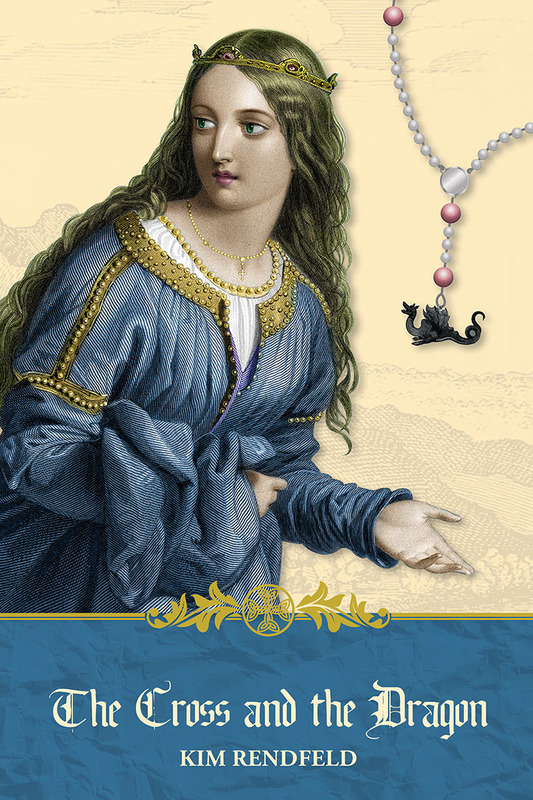 By wearing a charmed amulet, my heroine, Alda, is following a common practice. Please visit Pilling’s Writing Corner to learn more. My thanks go the blog’s host David Pilling, whose most recent series The White Hawk, covers the War of the Roses from perspective of a middle gentry family. Later, David will appear on Outtakes with a post about why he chose a family of this class to show us this slice of history. When I was researching daily life while writing The Cross and the Dragon, I was most surprised to learn that medieval people bathed. Before reading a section of Pierre Riche’s Daily Life in the World of Charlemagne, I had thought it common knowledge that medieval folk didn’t bathe because they thought it unhealthy. Heck, even teachers repeated this. Common knowledge, as it turns out, is wrong on this one. 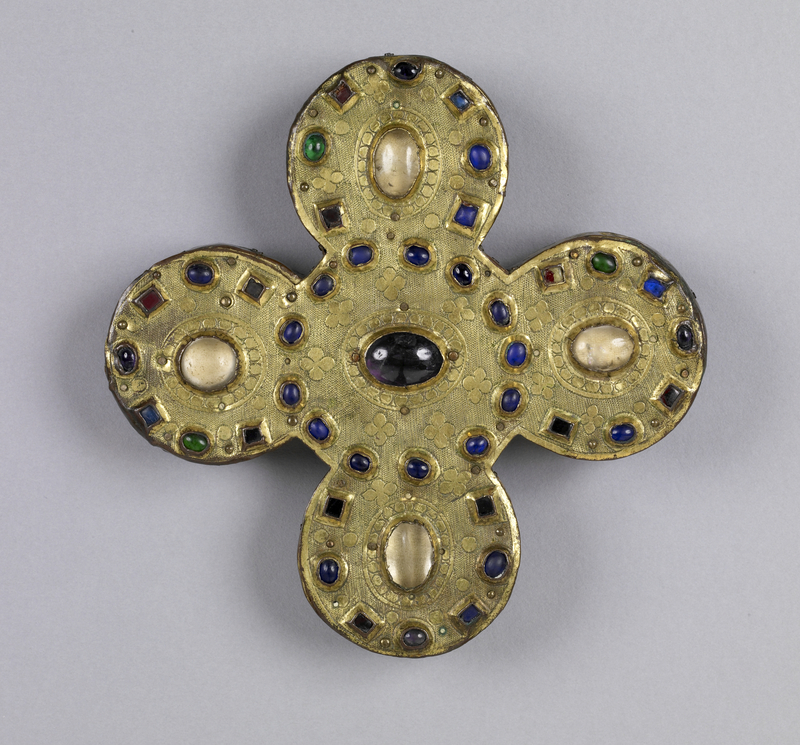 Carolingian palaces were required to have baths, and bath houses had a place at abbeys as well. This month’s theme at Unusual Historicals blog is “Myths and Misconceptions.” I could not resist adding medieval bathing to the mix. Visit Unusual Historicals to learn more. 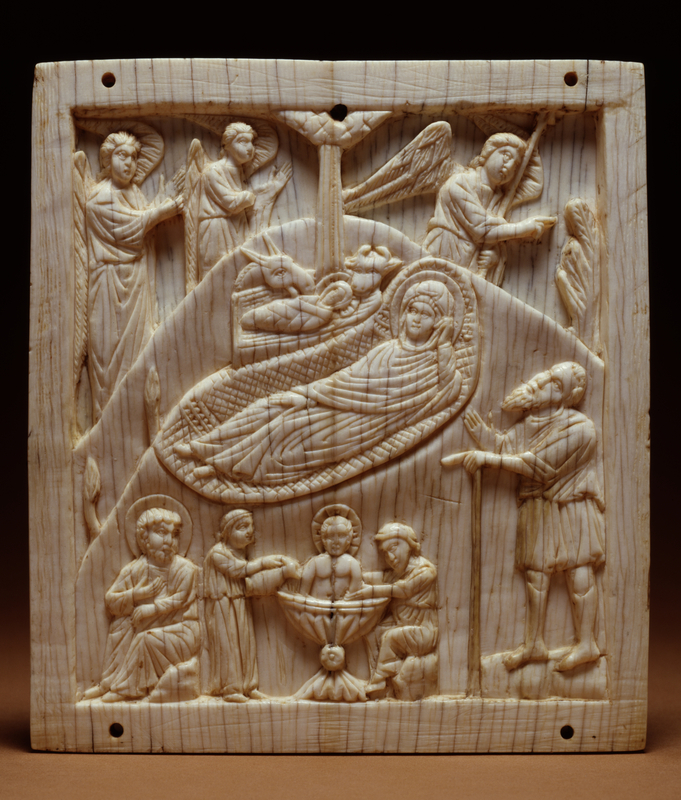 This 10th century Byzantine work of art includes a depiction of baby Jesus getting His first bath (public domain image provided to Wikimedia Commons by the Walters Art Museum). Should the Saxon War Leader Have Different Colored Eyes? 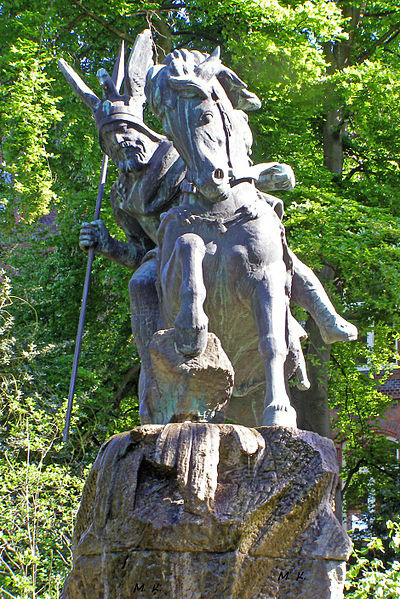 There is an intriguing story about Widukind, a real-life eighth-century Westphalian Saxon war leader and enemy of Charlemagne, and I am debating whether to use it in my next novel, with the working title The Ashes of Heaven’s Pillar. Most of what we know of the historic Widukind comes from the Franks, particularly the writers of the Royal Frankish Annals. Nowhere do they say what he looked like. But a story gives him an unusual physical feature: heterochromia, eyes of different colors. In this story, which cannot be verified, Widukind has one blue eye and one black eye. Problem is, I don’t know where this tale comes from. I’ve seen a reference to it only in passing, the most recent one in a book about Nazis. If only for the author’s note, I would love to know the story’s origin. Today, we would explain heterochromia as a quirk of genetics, but in the Middle Ages, the folk would have seen it as a sign of the supernatural. On top of that, Widukind and his followers worship the pagan Germanic gods. There are no tales of Wodan having only one eye, but his Norse counterpart, Odin, does. 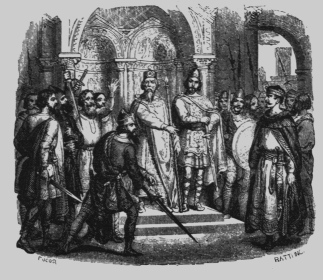 Widukind must have been a charismatic figure, and a sign of the supernatural could be a factor for why Saxons would follow him, even as the two sides inflicted punishing losses on each other. Widukind is a secondary character in Ashes, which focuses on the fate of a peasant Saxony family sold into slavery (see kimrendfeld.com for my latest draft of the blurb), yet he is mentioned throughout the novel. Should I use this physical feature for Widukind, even if it likely is fictional and even if I can’t track down its origins? A couple of nice reviews are helping The Cross and the Dragon start off 2013 in a great way. Lisa J. Yarde, author of historical novels set in the Middle Ages, including The Burning Candle, On Falcon’s Wings, Sultana, and Sultana’s Legacy, is also an active blogger. About The Cross and the Dragon, she writes, “She weaves a powerful tale out of a few strands of history, encapsulated in the epic poem The Song of Roland. Despite scant details mired in legend, there is great emphasis on a vivid portrayal of the medieval period. The author truly brings it to life. Alda and Hruodland’s mutual courage is equally inspiring.” Visit Historical Novel Review blog for Lisa’s full review. 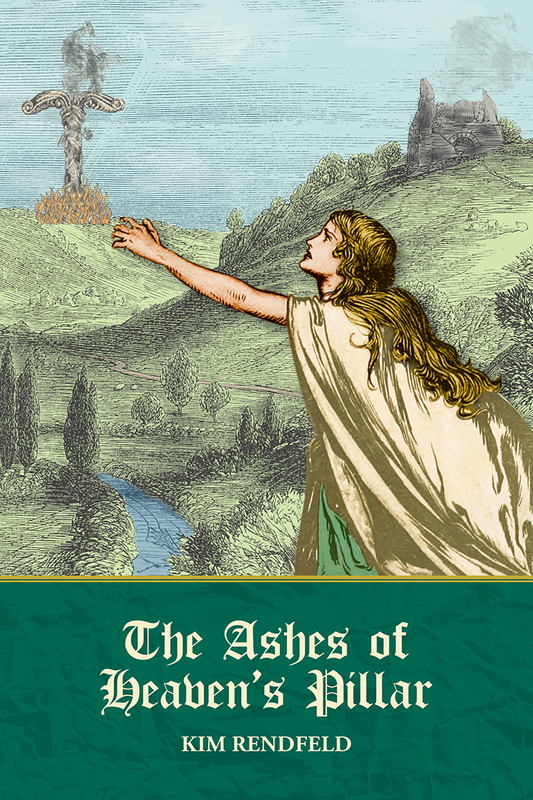 Visit Jaffareadstoo for the full review and my interview with Jo, in which I discuss my second book, The Ashes of Heaven’s Pillar, and talk about the three people from history I would invite to dinner. An author of historical fiction must take the point of view, her characters’, even if she doesn’t completely agree with it. As fond as I am of Alda, the heroine of The Cross and the Dragon, I find her view of eighth-century Lombard King Desiderius oversimplified. To the teenage Frankish noblewoman, he is an enemy of Rome, and therefore the Church. Her king, Charles, cannot refuse the pope’s pleas for aid, despite concerns about hostilities with the neighboring Saxons. Yet after doing research about Desiderius for Tinney Sue Heath’s Historical Fiction Research blog, I found his situation was complex, even though he was not a nice guy. Tinney’s name might be familiar to you. She wrote a posts on Outtakes about Dante’s vision of Charlemagne in the afterlife and Florentines’ claim to the emperor. The story I’ve written for Historical Fiction Research is a tale of shifting alliances, family honor, and brutal revenge. Visit Tinney’s blog for more. Desiderius holds court in what is believed to be an illustration to Alessandro Manzoni’s Adelchi, a 19th century tragedy.